Saints Row, I cannot seem to get enough of it, it was a a while ago now that I saw the whole series on Steam sale and thought “Why not”? I enjoyed the Third installment, why not play the 4th and the rest of them legit? and so I did, albeit out of order. After playing the excellent Saints Row The Third and the insane Saints Row IV I was ready for more Saints Row but instead of going to Gat out of Hell I thought I would go back to the beginning. 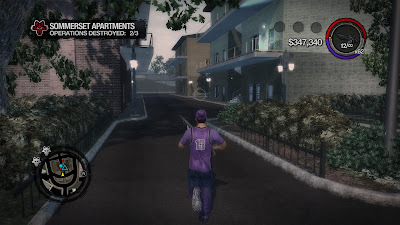 Though technically I couldn’t exactly go directly back to the beginning, the original Saints Row was on Xbox only, and although I do have access to an Xbox I really couldn’t be bothered buying the disc. So I decided to play Saints Row 2 which was apparently supposed to be the best one of the series and I admit I wasn’t disappointed but I wasn’t at all blown away either. The first thing I noticed about the game as it was similar to Saints Row 3, creating your character in Saints Row 2 was supposed to be better than 3 but it wasn’t really there was about the same level of customization, I made my character pretty basic as usual, I don’t go all crazy as it looks ridiculous and having a fitting protagonist works much better then someone dressed as Ronald Mcdonald. Saints Row 3 had 4 different male voices for the protagonist, a white, black, hispanic and of course Nolan North with his cockney British accent, He is the only one named for some reason possibly because he’s a famous voice actor who has portrayed characters such as Nathan Drake from the Uncharted series, Desmond Miles from the Assassin's Creed series, in Saints Row 3 he put on a cockney British accent not that I played the whole game with it I used the base white male voice which had an American accent which I think suited much better. 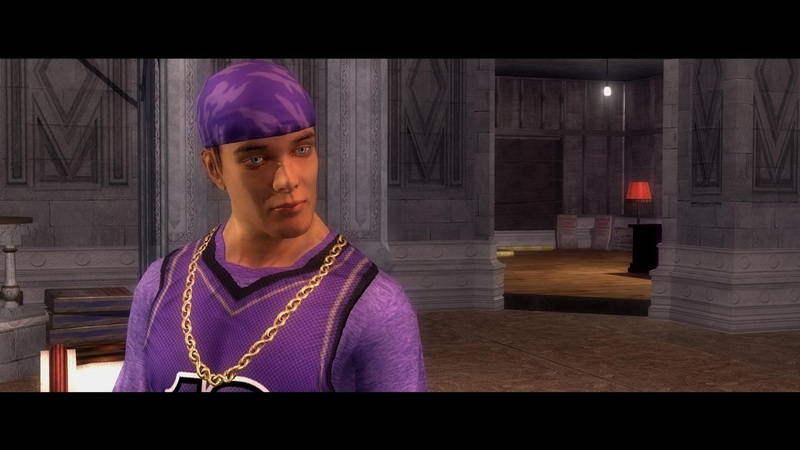 Saints Row 2 had only Nolan North as the supposed white male voice actor so I couldn’t have the voice I had for Saints Row 3 and 4, though this wasn’t too bad as it was fun to hear ‘Nolan’ cockney mouth his way through the film. 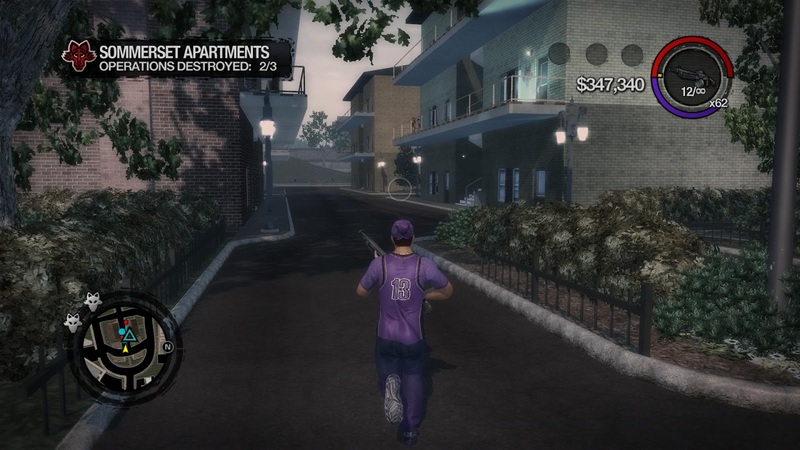 The picks up a few years after the original Saints Row left off, During this time, the 3rd Street Saints disband, and their legacy is soon forgotten. With Julius missing and the Saints gone, a power vacuum in Stilwater allowed three new gangs to take over: The Brotherhood, The Sons of Samedi, and The Ronin. 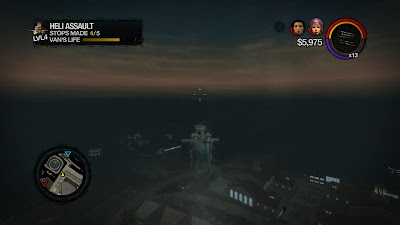 You the protagonist and the exiled leader of the Saints are in prison in a coma in the fictional city of Stilwater after being blown off a yacht at the finale of the first game. Together with the wannabe gangster Carlos Mendoza you break out of prison and head for the mainland and shack up in this ratty old basement of the Red Light district and man it is bad, of course you do have the option of sprucing it up a bit which is pretty cool. 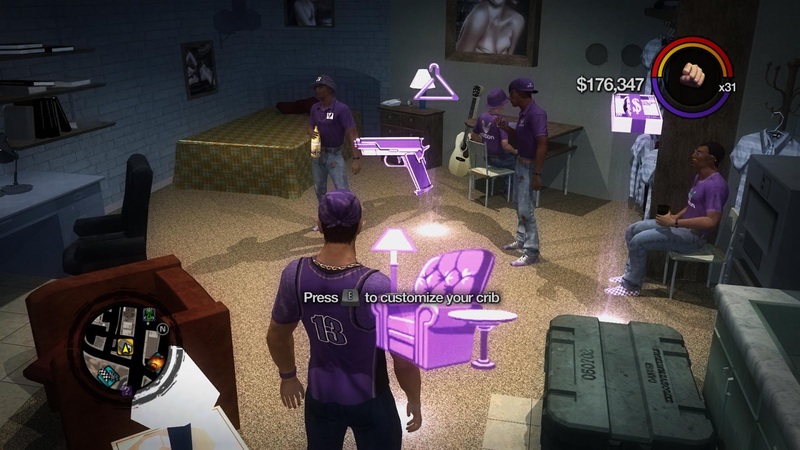 There are various Cribs in the game similar to Saints Row 3 and these can all be upgraded, your first crib has 3 overall styles ‘cheap’, ‘classy’ and ‘pimp’ which gives each crib a makeover, The classy style was nice for the time being having turned the basement into the best thing it could be for a basement with carpet and painted walls and pictures to make the place look nice and homely. When out looking for clothes I went pretty basic dressing up in normal jeans and sneakers with a basic tee and a basketball jersey over the top with a 13 on the back, nice and practical, I also added a bandana and a gold necklace for some flair as well as some rings and a knuckle duster and a watch. All of the clothes apart from the jeans and jewelry were coloured purple of course, I was pretty happy with the result. After rescuing the infamous Johnny Gat from custody you all then start rebuilding the 3rd Street Saints gang gaining members and fining a new hideout. The Saints new hideout is an interesting place being an abandoned hotel in an underground area of the city called Old Stilwater only accessible by going down into the basement, Johnny explains that an earthquake destroyed part of the city, and that the wreckage was built over so there’s a whole section of street with shops and traffic lights and a rail car from the time the earthquake hit in the 50’s. This is pretty cool and looks awesome though the area is overrun with bums and Samedi gang Members and you basically just slaughter everyone and claim the place to yourself. 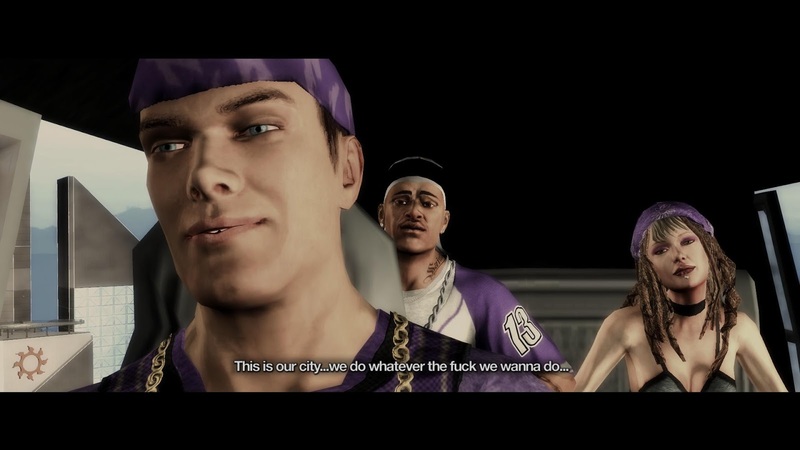 You then recruit old (or new) faces such as Pierce, and Shaundi and then basically the progression and gameplay turns into the Saints Row 3 and 4 style where you have the option of doing main missions and side missions and other activities slowly taking over the city. The "Good D" mission from the Ronin where they attack the Saints underground hideout. I wasn’t exactly sure which mob to start with so I started with the Ronin Missions. The Ronin were basically were a Yakuza-style gang, as it seems all gangs have a particular colour, this gang’s colour is yellow. 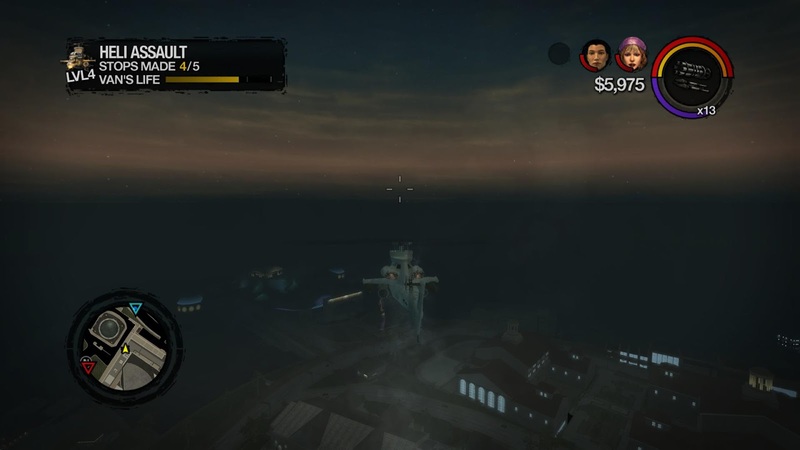 I’m not going to spoil the story but this one had a fairly significant event in Johnny Gat’s life that you replay in Saints Row 4 and boy did I love the Katana battles, there’s a few of them in there too and interestingly you side with a Chinese ally. I then battled the Sons of Samedi which are a bunch of African Voodoo dudes who sell drugs, who you choose Shaundi to investigate as per her drug addictions and knowledge of her ex, the DJ Veteran child who is working with the Samedi. Then finally you take on the The Brotherhood‎ where you get very personal with their Leader Maero. The last part of the story revolves around the Ultor Corporation and the young executive Dane Vogel who becomes the game’s final antagonist, by defeating him and forming an alliance with Ultor the Saints become the prominent power in Stilwater hence the references in Saints Row the Third. The Ronin "Kanto Connection" mission, I get my Samurai on. I like that shot at the start as I realise Pierce also wears a 13 on his shirt. The FUZZ where you play as a Cop on a TV show, it's as ridiculous as it looks if the NSW Police weren't happy about the Police Mod then they certainly wouldn't like this. Speaking of vehicles It was good to get to use them again after playing Saints Row IV for the second time around, for those of you who don’t know there is basically no point in driving vehicles in Saints Row IV. I used my fair share of them and even found a nice Harley-Style bike called the Melbourne and I also added a (Motorcycle) chopper and a Coupe which I thought was pretty cool and I painted them in the gang colours of course. 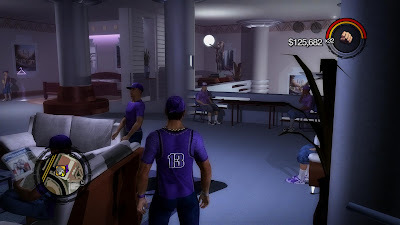 Once you open up the main underground Saints Row crib you can customize what style of clothing your crew wears and also what cars they drive which was fun as you can choose pretty ludicrous things my current setup includes a saints Halberd, Attrazione and Compton all of which are automatically pimped to the saints colours. 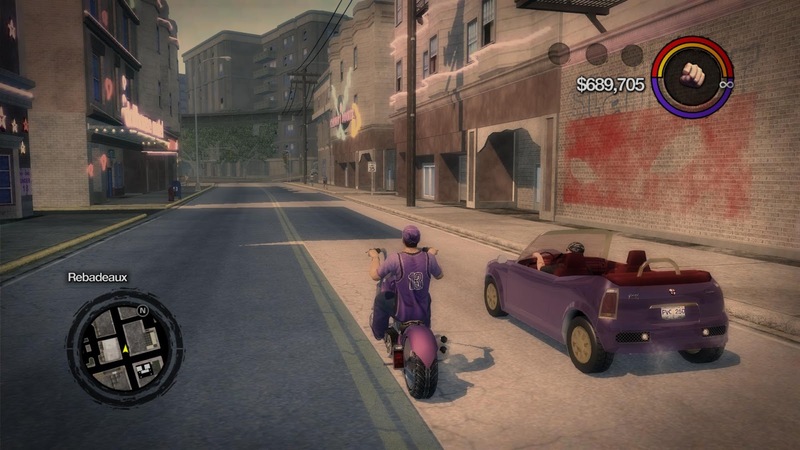 As you go through the missions you gain vehicles and outfits for both your crew and yourself and other unlockables, specifically when you finish all the missions for a particular gang i.e. the Ronin you get access to their vehicles like the Kaneda for your Garage and the Ninja style gang customization. Of course as being an open-world game there are dozens of other things you can do apart from the main missions and activities, most of which I didn’t really touch. You can do stunt jumps, you can collect CD’s?, you can fly planes through tight spaces, you can do the classic Taxi, Ho-ing missions and Tow truck missions, you play mini-games like Blackjack and also rob stores and mug people or even play an entertaining zombie uprising minigame, it’s up to you, I actually just did the races if I can remember correctly. 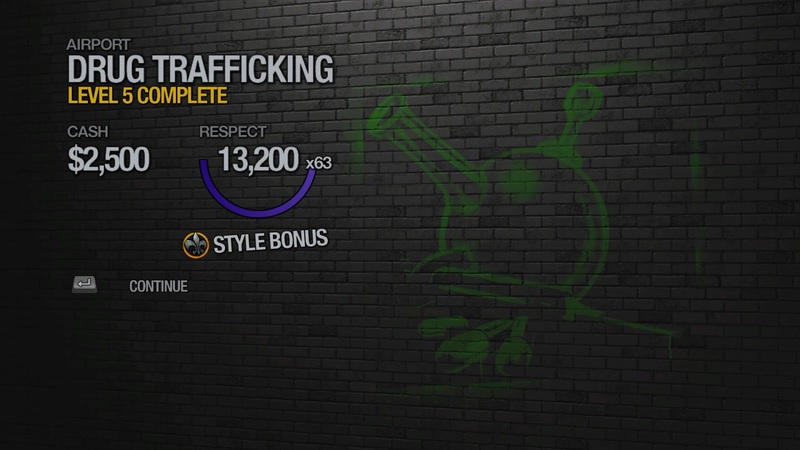 There’s also this thing called Respect and Style, respect you gain from killing gang members, completing missions, doing dangerous stunts such as wheelies and driving on the wrong side of the road, there is just so many ways to get it, you pretty much just do anything. Style affects how much respect you get when you gain Respect for example better clothes, upgrading your cars and owning more cribs grants you more style. Gameplay is basically the same as in Saints Row the Third but nowhere near as refined, from early on I could smell a console port as there was no mouse support for the main menu so I quickly knew this was going to be a bit wonky for the PC, and wonky it was, it was badly optimized with poor frame rates and jerky movement, it really didn’t play very well. The cars handled awfully and were very hard to control at first, I was wondering why I had such a sore thumb then I realized it was because almost whenever I turned a corner I used spacebar for the handbrake because it worked all the time no matter how fast you were going. I remember I went back to play GTA5 online at one point and tried to drive the same way and boy it did not work at all heh. The controls were simple enough and I managed fine as the movement and shooting was bearable. Yes that is Shaundi and Carlos hanging from the helicopter landing legs. Everything is very arcade-like as in the other Saints Row games I’ve played, even the helicopters were easy as you just had buttons for up and down then you pointed them in the direction you wanted to go. 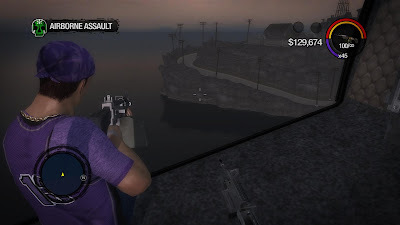 The heli assault missions were pretty nuts, you had to blow up enemy vans so your homies could do drug deals. What more was that they could run out of gas then you had to pick them up which was incredibly difficult so I was glad the chopper controls were relatively simple I spent a lot of my time in motorcycles then finished with The General’s Bulldog which is customized with a gun turret on the top which you can freely control, this made doing missions much easier as you were always being chased by an endless supply of gang cars and having the turret there helped immensely as you didn’t have to lean out of the car to shoot all of the time. Of course there were some limitations, the thing was huge and it had a terrible turning circle and wasn’t that fast, but was a choice vehicle for pretty much anything towards the end of the game where you were fighting huge amounts of heavily armed enemies so the durability really came in handy. Customizing and driving the Military Bulldog, this thing was a beast. The graphics for this game were not that remarkable and worse than the previous Saints Row games I have played but of course this is an earlier game from 2008 so what do you expect? Yeh some parts looked pretty bad, the terrain in the off-road areas particularly as it seemed like they were just a bunch of brown mush, the character models weren’t too good, some of the cars and explosion effects looked weird. But of course it doesn’t really matter, you don’t play a game like Saints Row to go “AWR LOOKIT DEM GREPHICS!” you play it for the gameplay and the general craziness, Saints Row isn’t exactly famous for its graphics compared to the likes of say Far Cry. As far as music and sound goes it’s got the same radio station setup as Saints Row 3, in fact I think all of the games have the same setup of radio stations for a number of different genres from techno to classical same as Saints Row 3 and 4, I far as music I love the games original soundtrack with its banging hiphop beats you can’t beat the Saints for epic rap, I just don’t know how to explain it, it’s like a blockbuster movie style the whole intro to the game and in the main menu and it sounds great. Ultimately if you liked Saints Row 3 then you will like 2, if you liked 2 then you’ll like 1 etc. My only regret was that I played it without realizing there was one particularly huge mod that was made for the PC game titled Gentleman of the Row. This mod added a ton of new features to the game mostly clothes, vehicles, cribs and customization options similar to a Skyrim mod, though it also added new walking animations and taunts. Not only that it added and optional first person mode, increased FOV and an option to remove the HUD for screenshots. I was kinda annoyed that I didn’t play it with this mod but meh it was still good anyway and I had fun with it, next up in the Saints Row agenda is Gat out of Hell which I may play with a friend as it has CO-OP. I’ve found I’ve forgotten to do the score and the “things I like and didn’t like” for the games I review so I’ll start that again now.